NEW YORK—After years of complaints from players and fans over the outmoded mandate, the New York Yankees announced Wednesday they would eliminate the organization’s longstanding “no pubic hair” policy. 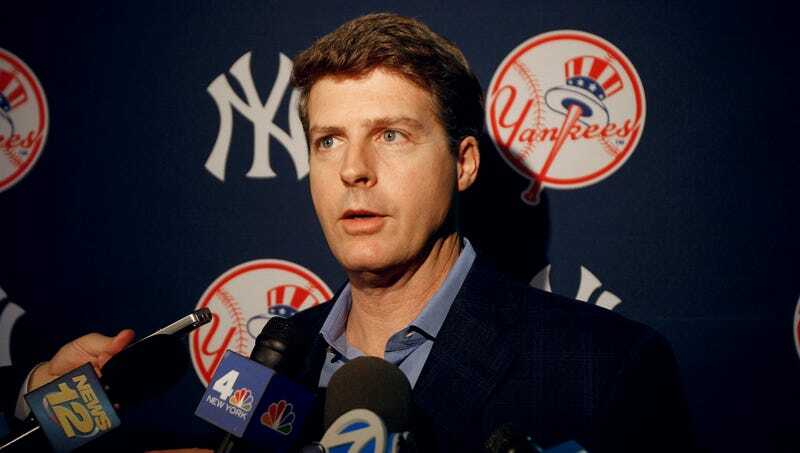 “Effective this season, we are removing most of the restrictions on members of the New York Yankees growing their pubic hair,” said co-chairman Hal Steinbrenner, who admitted that while the rule had been an important part of Yankee culture since the 1960s, ownership felt it was no longer necessary or in keeping with modern society’s more relaxed attitude towards pubic hair. “When this policy was enacted, pubic hair was considered sloppy and unprofessional, but we recognize that times have changed. We will still maintain some strict rules about the length and styling, but as long as it’s clean and trim, players are now free to do as they want with their pubic hair.” Steinbrenner went on to deny any claims that the pubic hair policy was abolished to lure Bryce Harper next offseason.